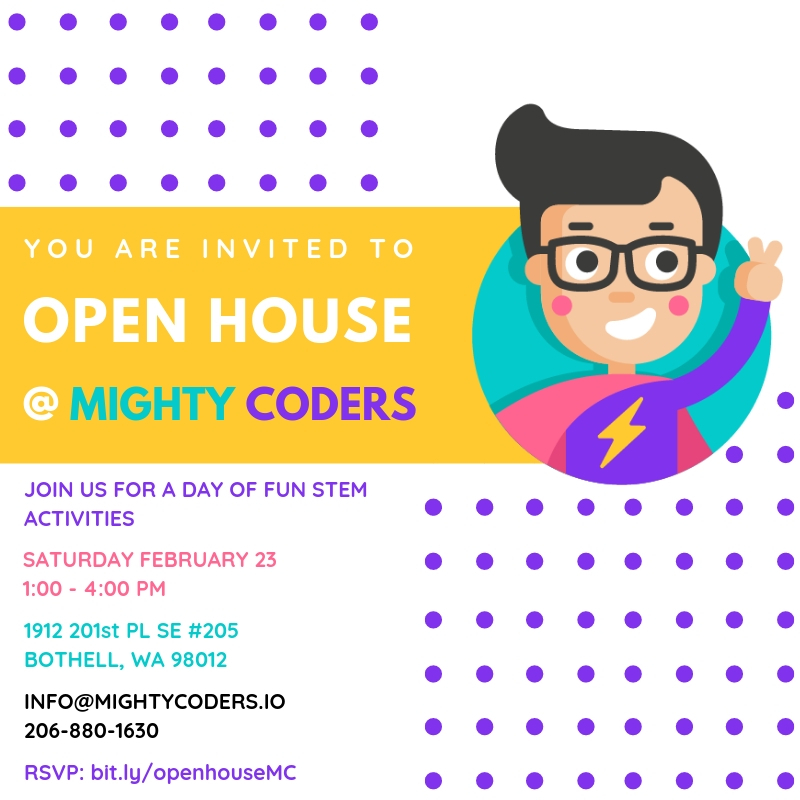 Join us at Mighty Coders on Saturday, February 23rd for our Open House Event! We are excited to open our doors and welcome families to experience Mighty Coders. This event is for your whole family to check out our academy: the STEM space where kids can try activities like Scratch, Robotics, Circuit Building, Virtual Reality, Block Building, and Coding. Enjoy our space for a day of coding, treats, and raffle. To help us plan, please RSVP. Feel free to share this event and invite your friends!